Today, I publish the results of a project about machine learning and e-mobility that I worked on during my studies (Master of Information Systems). This project’s challenge was what I love to deal with: How can information technology provide viable solutions for a more energy-efficient world, such that eventually we head for a (much) more sustainable future. 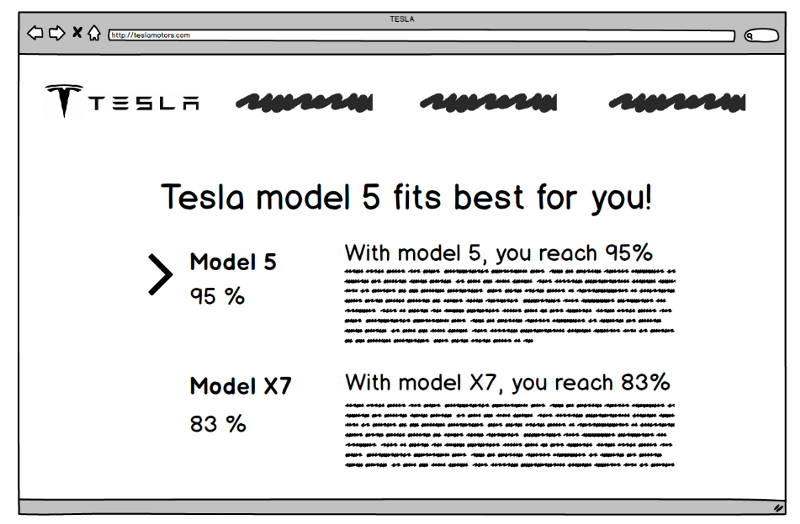 The task (roughly): Based on data, predict if a specific electric car goes well with a specific person. Imagine you wanna buy a new electric car and you wanna find the one that fits your needs best. The overall approach of this work has been developed by Jürgen Wenig, a researcher at the Energy Efficient Systems Group at University of Bamberg, Germany. This work is an implementation and execution of his approach. A major barrier for widespread use of electric cars is the high level of uncertainty that potential buyers face when it comes to estimating the car’s utility for themselves. Today, the maximum driving range of an electric car is used to evaluate its utility, despite multiple studies demonstrating the limited ability of this metric to evaluate electric car utility. In addition, utility is very much influenced by an individual’s driving behavior, which is not considered in the maximum driving range as utility index. Herein I identify the most significant factors for measuring utility of an electric car, and based on the results I provide a new estimate an electric car’s utility. The estimation is provided for specific individual’s driving behavior due to the strong influence of such behavior on car utility. The results indicate that for each driver, the average speed or average distance of single trips are sufficient to estimate a car’s utility within 9,5% of the true utility index I established. Manufacturers can use this approach to estimate the utility of an electric car with limited data (i.e. average speed and average distance per trip) from the customer. This data is easily obtained from cars today, making this approach easy to implement. Get the full PDF here or the final presentation here. Please use the comments below for feedback.